A radical revamp of the city centre riverside area is to be planned to make it more attractive to both visitors and investors. A new strategy to improve the area – now dubbed the St Enoch Quarter – is to be devised to connect the Clyde to the city centre and redevelop both banks of the river. Council leaders and businesses have been frustrated that a number of ideas to develop the area have failed in recent years with many plans being drawn up but not followed through. The vision for St Enoch Quarter is part of the wider City Centre Action Plan to breathe new life into the city and help it to continue to compete with other European cities in the tourism, retail and conference trade businesses. 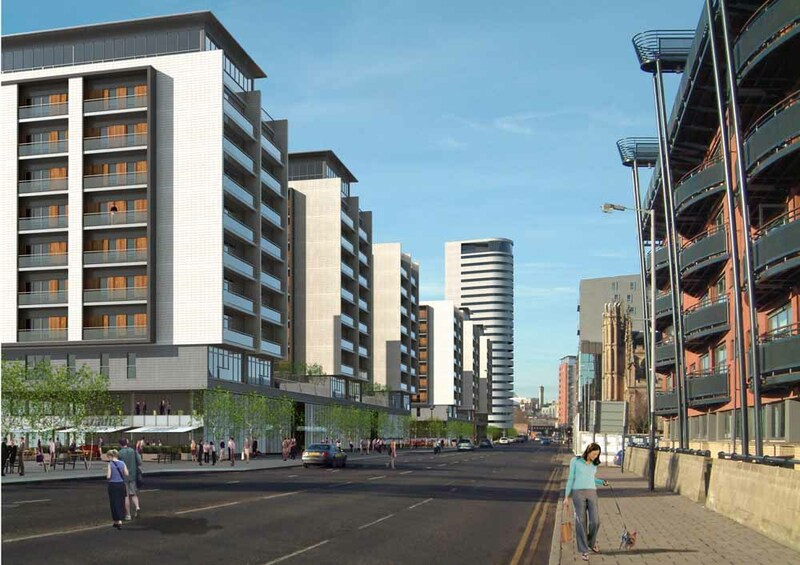 It is hoped to develop the riverside between the Glasgow and Victoria Bridges between Jamaica Street and Stockwell Street. • Improve existing – and create vibrant – public spaces at Custom House Quay to attract visitors residents and investors. • Identify development opportunities for commercial activity like kiosks and cafes. • Investigate water-based use and activities and promote events and festivals on the water and the banks. 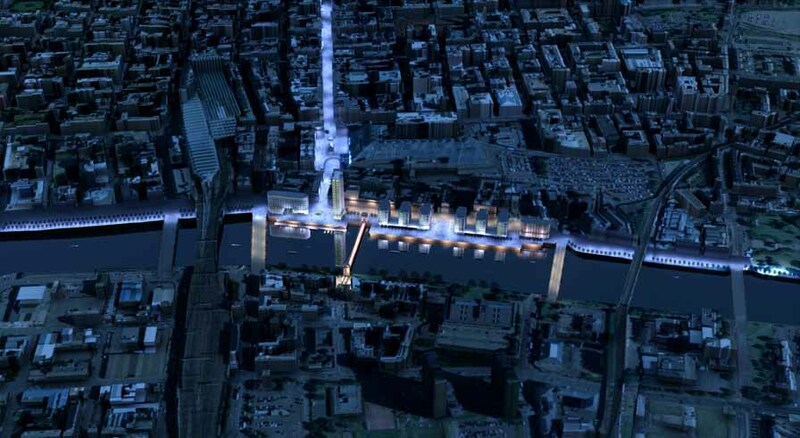 • Improve public realm, lighting from St Enoch Square to the river and beyond. 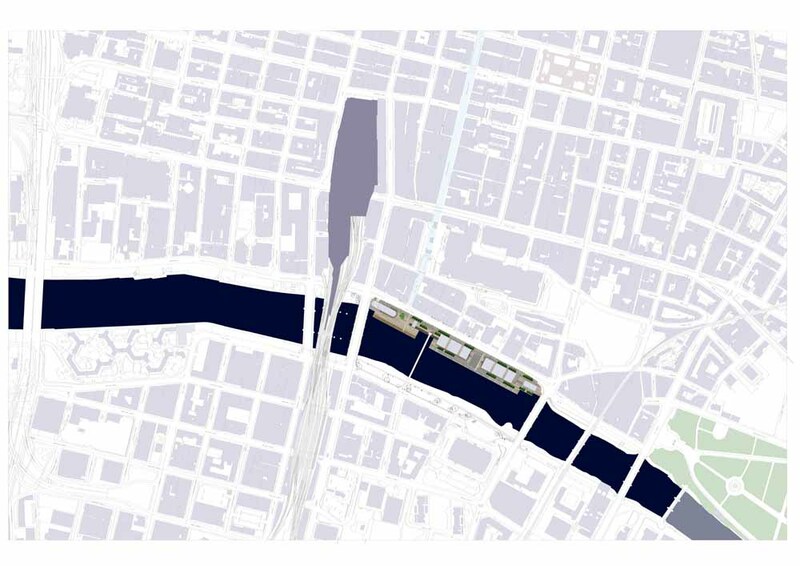 • Improve accessibility to the riverfront walkway for walking cycling and river users. Connecting the riverside to St Enoch Square, Buchanan Street and Argyle Street is seen as filling in a missing link in the city centre. Custom House Quay in Glasgow, currently the most ambitious and high profile river regeneration project in the UK has today, 12 July 2005, been recommended for approval by Glasgow City Coucil and will now proceed to the Scottish Executive for full approval. The 1.25-hectare site forms Glasgow city centre’s main frontage to the River Clyde and lies on the south side of Clyde Street between the Glasgow and Victoria Bridges combining Custom House Quay, Custom House Gardens, and Carrick Quay. The £200 million development, designed by the Glasgow office of the internationally acclaimed architectural practice, RMJM, will offer a mix of residential, leisure and retail and will regenerate the riverbank near the city’s Portland Street Suspension Bridge, introducing a dynamic mix of activities to this important part of the city. With other river redevelopment projects underway, Custom House Quay is another example of Glasgow turning again to the river, this time not for industry but with leisure and community activities in mind. It is widely recognised that this area is currently not just ‘run down’, but also unsafe and largely avoided by the public. This proposal will unlock the potential of the site to become Glasgow’s prime location, re-inventing how the city and river are experienced by its inhabitants and by visitor alike. The new high quality development will provide more public realm space than is currently provided; encouraging increased public use of the area making it safer and more accessible. The development will redefine the quayside and provide flood protection unlocking the potential of this site to become one of Glasgow’s prime locations, enabling its people and visitors to experience the river as an active part of the city centre. Custom House Quay will extend the Buchanan promenade, and vibrant leisure and shopping experience onto the riverfront, creating a new shopping and entertainment district within the city. The riverfront will have a buzz of commercial activity including large and small-scale retail, bar and restaurant providers, along with a nursery and smaller kiosk functions. Buchanan wharf public square is considered the hub of the development where the Buchanan St promenade meets the riverfront, where people using the city are drawn to the site and where the transport connection are congregated. A floating pontoon allows access to the river to allow boats to moor, and floating bars and restaurants to activate the space. Waterbus, underground, bus and trains can be reached from here, opening up the rest of the city to the site. 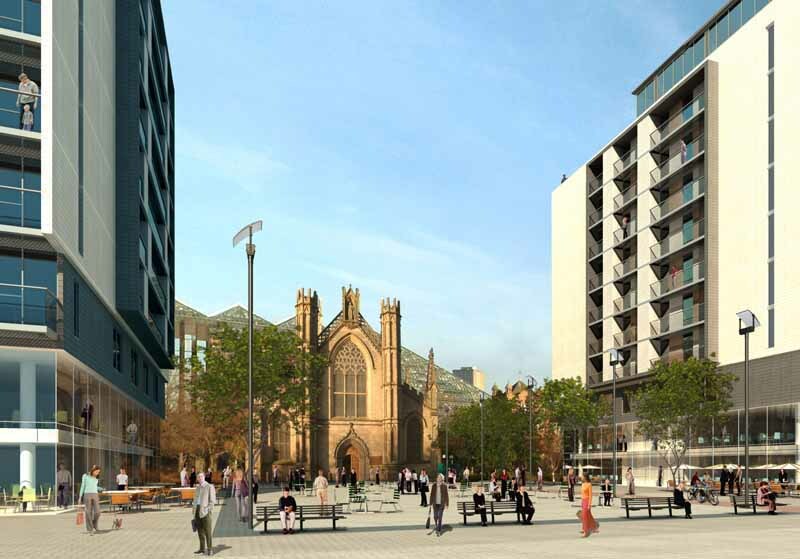 The cathedral urban square is quality urban space, accessible freely from Clyde St and from the riverfront promenade. Arcades will cut through the commercial plinth making it more permeable, and continue the north/south link between the streets north of the site and the riverfront. Covered arcades offer year long use no matter what the weather. 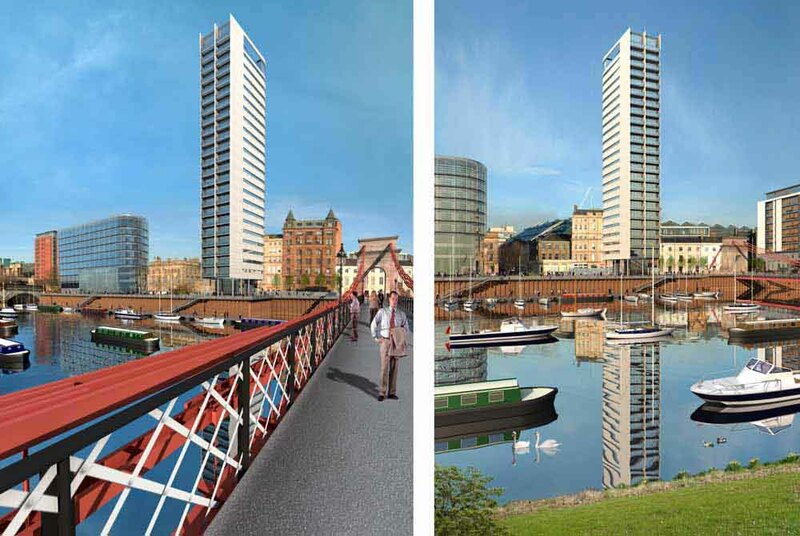 Custom House Quay will offer a thriving waterside space for the people of Glasgow. A hive of 24 hour activity, and an attractive environment to work, live and play. 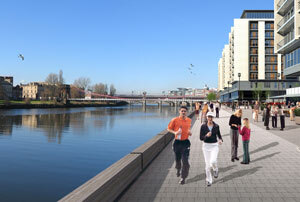 RMJM Architects have designed a new urban environment for Glasgow city centre’s river frontage. The project is the most ambitious riverside regeneration project in the UK, and will further promote Glasgow as a dynamic and prosperous location. 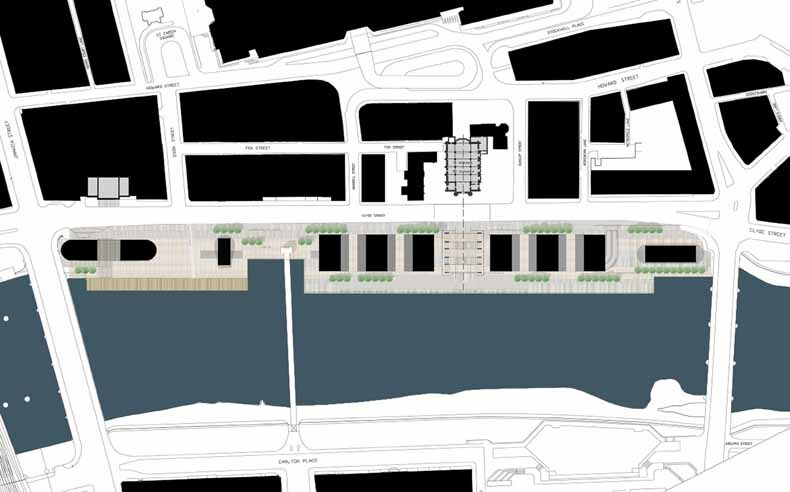 The site – combining Custom House Quay, Custom House Gardens, and Carrick Quay, forms Glasgow city’s centre’s main frontage to the River Clyde. Despite this fact, the site lies abandoned by both the river and the city, a sad and desolate narrow strip of ground, and a lasting testament to the city’s move away from the river and the heavy industries it exploited. 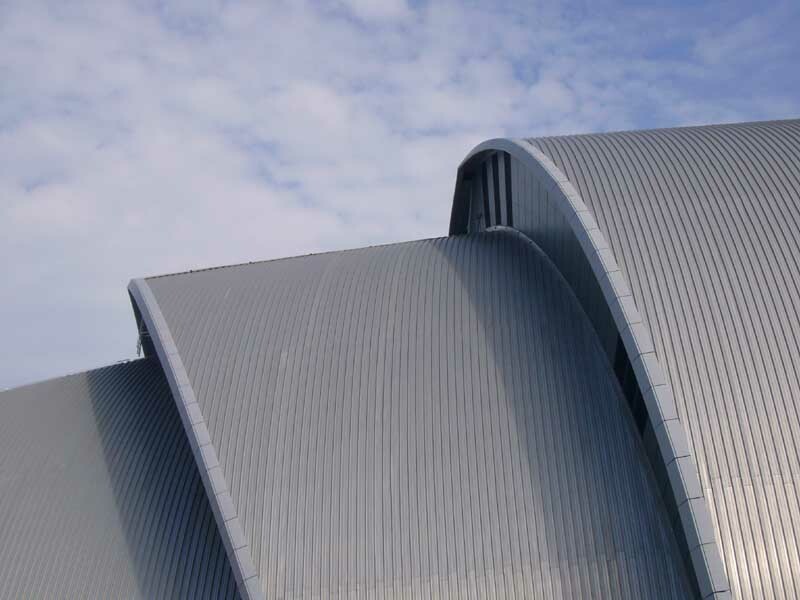 Glasgow’s new renaissance period, sees it returning back to the river, this time, not for industry but with leisure and community activities in mind. As a result of this interest and recent developments to the west of the city, our proposal looks to unlock the potential of this site to become Glasgow’s prime location, reinventing how the city and river is experienced by its inhabitants and by visitor alike, an opportunity to give Glasgow a new and bold international image. 1. To recreate the image of Glasgow internationally as a river city. 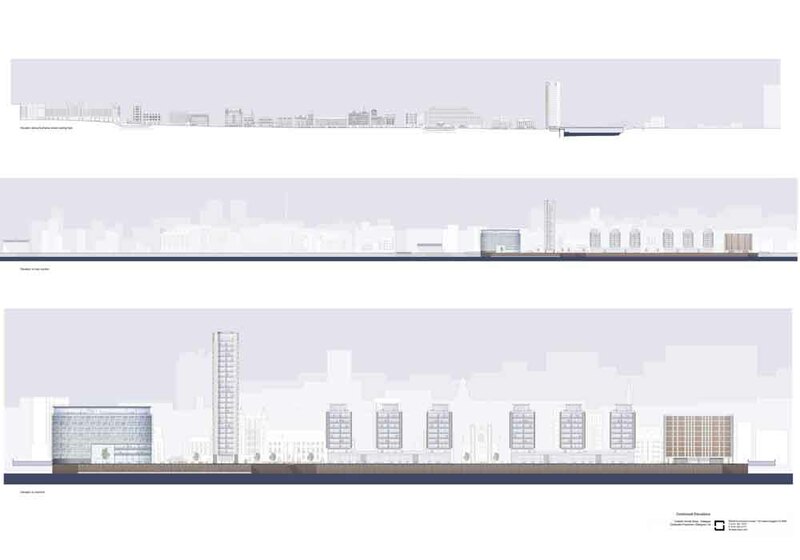 But in the true sense, not just building close to the waters edge, as is currently happening to the west of the city centre but actually on the waters edge, where the city centre can directly interact with the river. 2. 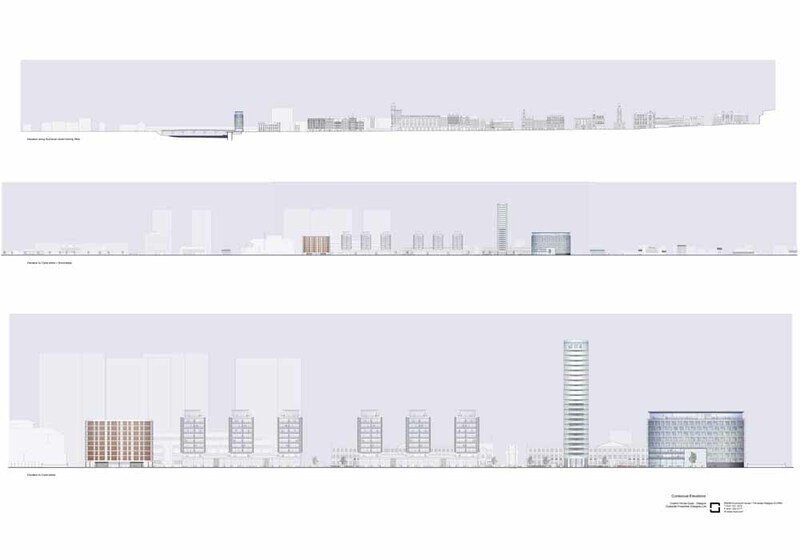 To stimulate the use of Glasgow city centre, creating a counterbalance to the developments moving westward, away from the city centre, and reconfirming the city centres importance. 4. To create a sustainable + environmentally friendly solution, which acts as a flagship for future city wide development. Many cities worldwide have similarly aspired to bring their centres back to the waters edge, and all have benefited immensely from it. Sydney, London and Amsterdam, are good examples of waterfronts that lay derelict for years after the move away by heavy industry and waterborne trade, leaving strips suffering from out moded infrastructure, and public no go areas. Now, through private investment, these areas are a successful mix of housing, hotels, shops, bars and restaurants. Not only creating a vibrant, safe and attractive location for visitors and inhabitants alike, but also reinventing their cities image.